On Friday I had a chance to meet with a group of Artificial Intelligence researchers at Carnegie-Melon university. They demonstrated a working technology, Informedia, which I would have guessed was at least 3-5 years off. What was most incredible about this demonstration was the vivid observation of the trenches in which the information war is being waged. Like any power, technology can bend towards good or evil, and as this post points out, Social Software can be understood as the purposeful use of technology for the public good. 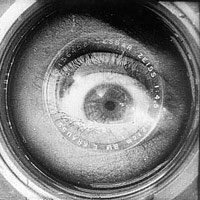 The surveillance possibilities that machine based processing of video and film affords is mind-boggling and horrifying (for more on this angle, see my bioport papers or the Permanent Records presentation). At the same time, the kinds of research, machine based assistance, and even the ways in which this kind of technology would change journalism, could all be harnessed for the public good. Is transparency, openness, and free culture our best bet for steering and harnessing these powers productively? I apologize for this study blog’s late start – I just returned from the Plone conference in Vienna, and the internet availability was spottier than it should have been. At the conference I presented a talk which relates closely to the topic of this seminar, entitled Platonic Wikis and Subversive Social Interfaces. People seemed very interested in the subject, and a common response was that these ideas were obvious when stated, but people were very happy to hear them concisely articulated and formulated. I will be posting my slides up on the conference site, but in the meantime, here is a working link to them: html ppt Photos and links from the conference should start appearing under plonecon2005 over the next few days. I will be catching up with ss05, blog postings, and sleep this weekend. I have an extensive background in software architecture, design, and development. Prior to joining the center, I was the lead developer at Abstract Edge, an interactive marketing firm which serviced both non-profit and corporate clients. I was also a senior developer at MaMaMedia, a children’s educational Web site. I am an active open source contributer whose technical interests include Linux, Python, and Content Management. [This blog was started for MSTU Social Software Affordances, and this post was written as an introduction]. Using the Gentle Calm theme designed by Phu Ly. WordPress took 0.446 seconds to generate this XHTML page.